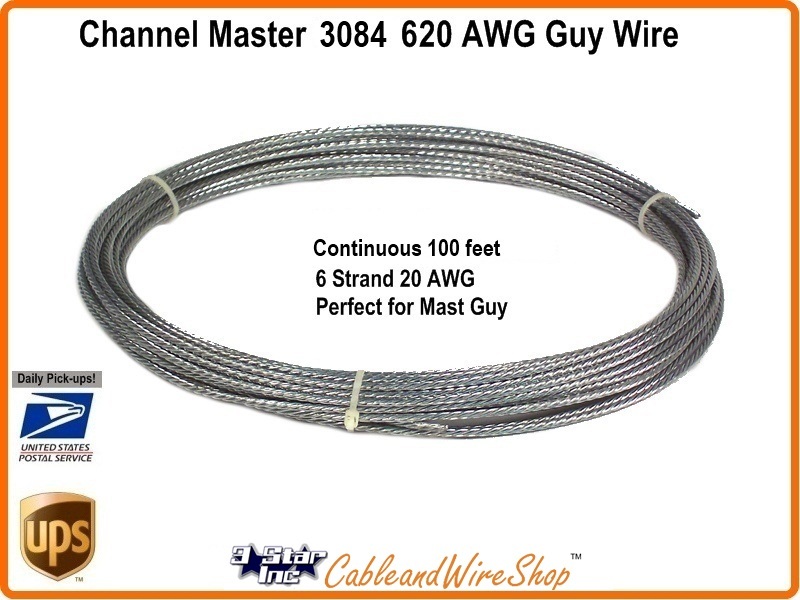 Is 100 ft, (2) 50 ft hanks of 6 Strand, 20 AWG galvanized steel Guy Wire for Light Duty Antenna Mast Guying. Used for stabilizing your outdoor TV antenna mount setups. Multiple 100 foot Units Ordered can come in Contiguous Footage up to 1000 Foot. Compare to WineGard Part # 3084 Guy Wire Antenna Mast Support!